My last review of the year and delighted it is with a nifty new product! I am a big fan of a mascara primer, I have used the same one for years until recently when I was gutted to find it was discontinued. I hadn’t thought about it as a bit of an unusual step in my routine until I was doing my make up with pals and remember this wasn’t necessarily what everyone did- but for me it made such a big difference to how my mascara worked that I couldn’t be with out it. The one I used previously was a white formula ( yup like the old double ended mascaras that were usually rubbish!) and it added fibers to my lash that the mascara then clung too. There was a couple of down falls to that kind of primer, in a rush I could genuinely forget to cover it with normal mascara and almost end up out in public with white eyes ( so 90’s!) and there was every so often a few flakes that would fall away and get in my eyes which is always a disaster. I was more than excited when Benefit then revealed they were bringing out their very own primer, could this be the one to replace my beloved? 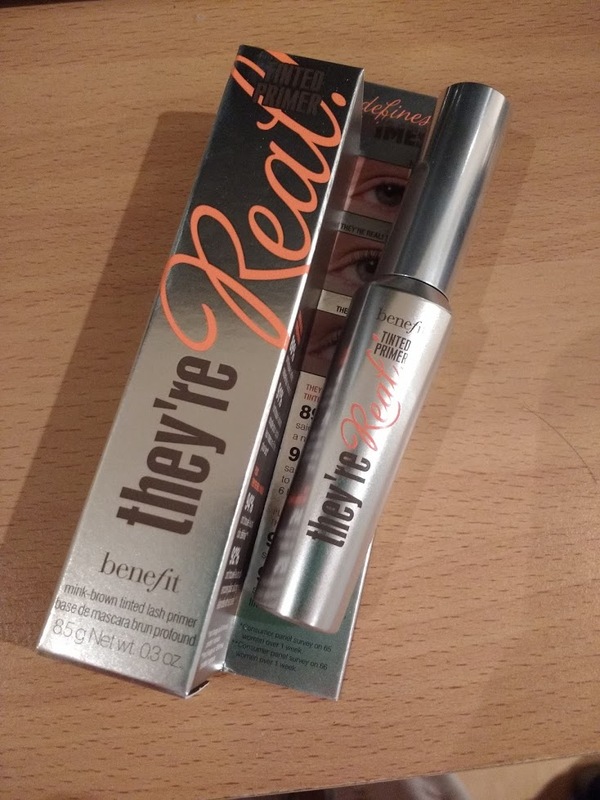 Straight off the bat with being brought out as part of the the 'They’re Real' range, I had high hopes as it is such a good mascara that I use regularly. The brush on They’re Real is outstanding and I was thrilled to see the primer was the same. The difference here is it is not a white fibre based formula but instead a tinted gel version that is brown and more moisturising which keeps the lashes far more soft than I expected which is perfect for a really stand out but still a natural look. I love that it is a dark brown formula as on its own it is a perfect low key look that provides really fantastic definition to my lashes. As it is water resistant it has actually been perfect for my early morning gym sessions where I don’t want to wear make up but prefer to look a little more bright eyed. 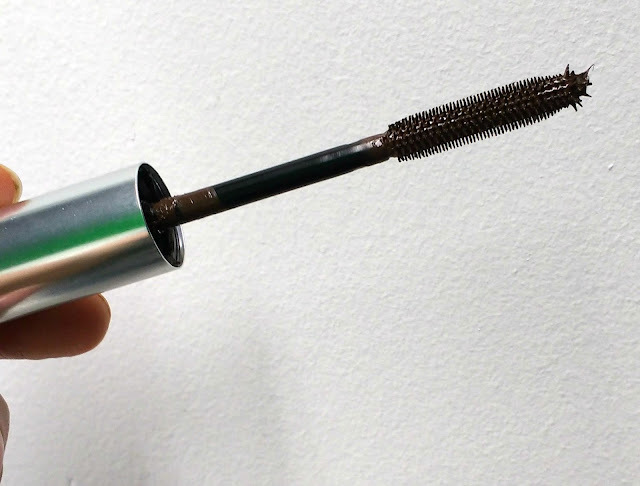 I know my mum who doesn’t wear mascara will actually love this so I have bought it for her at Christmas, the colour is just right for a subtle look. Under mascara ( currently just cannot get enough of the Benefit Roller lash) this performs really nicely. 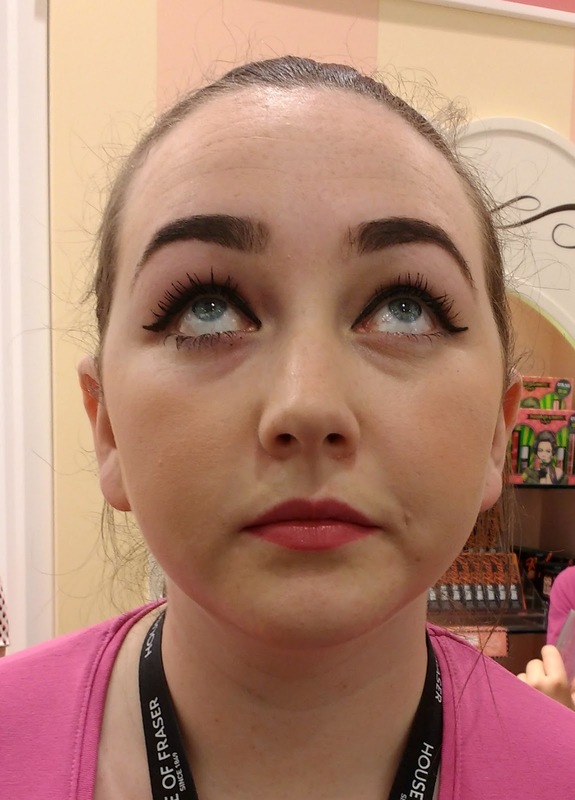 It might seem just an additional unnecessary step for some but as a primer fan I love the added oomph and definition it gives my lashes which are not the longest or fullest. Above is our Benebabe at the launch who has had it applied by one coat of mascara- her lashes looked incredible! The formula really feels moisturising on the lashes and it is also currently serving as the best bottom lash mascara I have ever used, just a touch of colour and definition that lasts all day! I am thrilled to have a primer back in my life and especially one that performs really well and is so multi-purpose too, I am thrilled it arrived just in time for the party season! A very Merry Christmas to everyone, I will be back in 2016 with a host of new reviews and experiences to share with you.